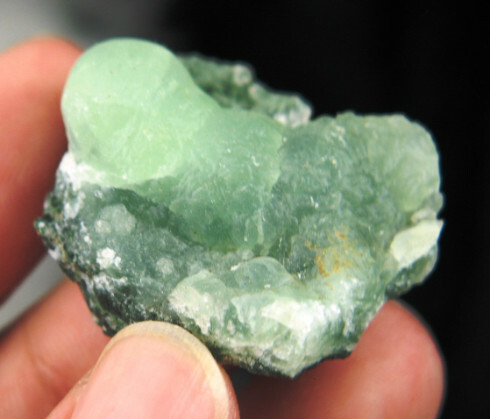 The energy of this prehnite is quite strong, working the higher chakras heart through crown chakras. This lovely specimen is from Southbury, CT.
Prehnite is used for dreaming and remembrance and also enhances one's protective field. It brings a sense of peace and calm. 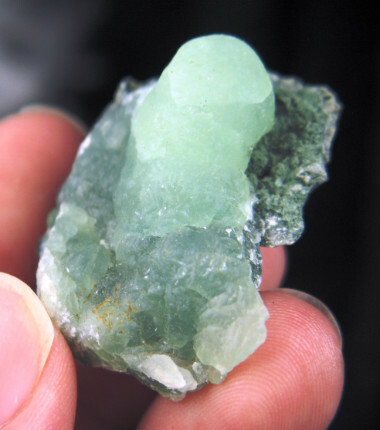 Prehnite builds the immune system. Useful for anemia for blood disorders. Clearly the color and unusual touch generate a serenity and tranquility uncommon even in the typical stress release stones. This is a most powerful stone. Has been used to aid in remembering dreams. 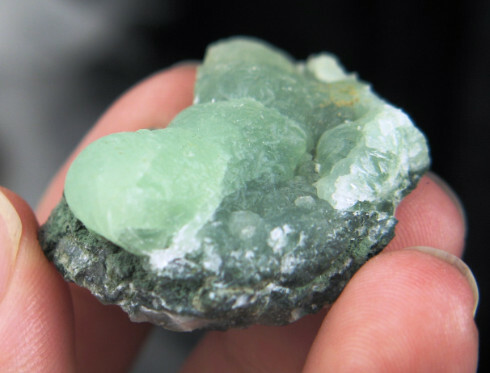 Rub Prehnite just before going to sleep and ask for assistance in lucid dreaming. 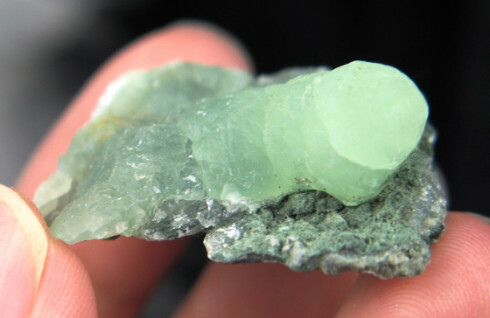 Due to its ability to rapidly move one into the other world, Prehnite has long been used as a secret stone of Shaman's. Because it can carry one into both the sub-conscious and the earths astral it has become known as the "Prediction Stone", and as such is much in demand by channelers. 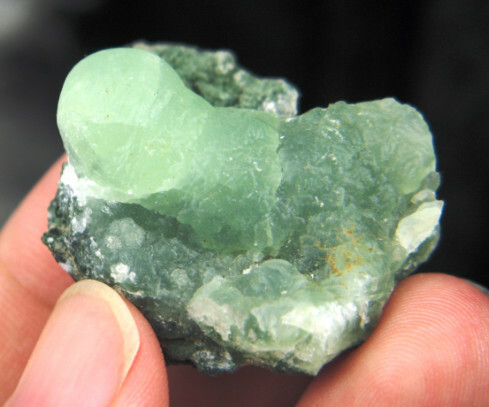 In healing, Prehnite has also been used to reduce high blood pressure and control hypertension. We have recently found that this remarkable stone can be used to balance meridians and also to activate (balance) acupuncture and acupressure points.